We are headed to Bovina, NY on Monday to install our Structural Insulated Panels over a timber frame. Call or Email if you would like to check it out. 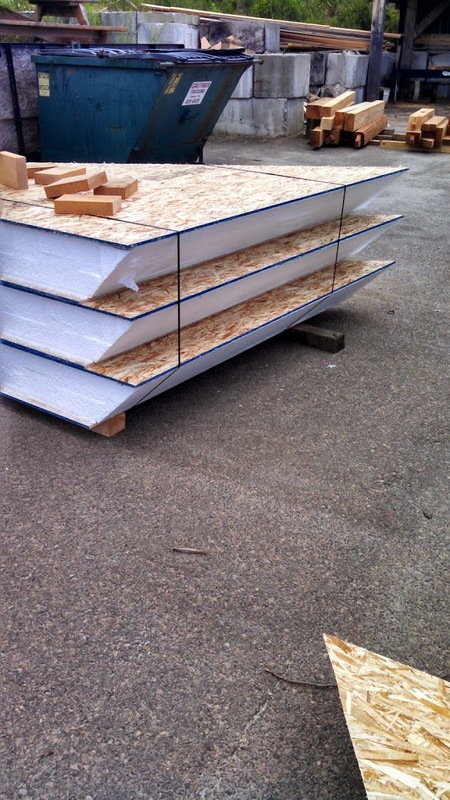 Here are some pre-cut roof SIPS that are banded and ready to ship to the jobsite!